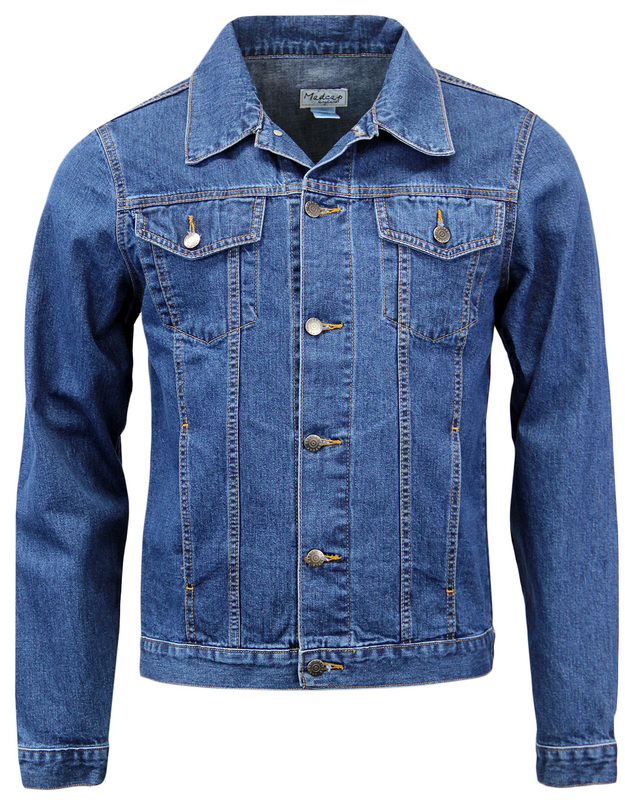 MADCAP ENGLAND 'MARQUEE' MENS RETRO SIXTIES MOD DENIM WESTERN JACKET (Blue Stonewash). 'Marquee' Sixties Mod Western Jacket by Madcap England. Inspired by Mod icon Keith Moon (commemorated by a blue plaque at 90 Wardour Street, home of the Marquee Club), this fab Retro denim, Slim Fit jacket offers a unique Indie look. 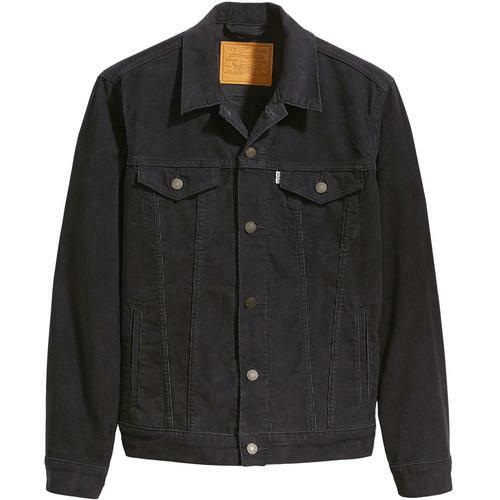 Cool, casual and timeless - 'Marquee' Denim Jacket by Madcap England. 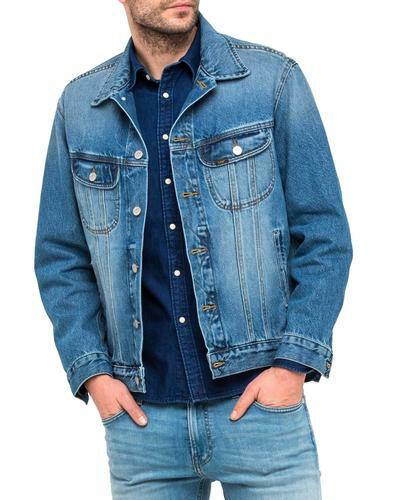 'Marquee' Mens blue stonewash Retro denim slim fit Western Jacket. With Sixties Mod fold over collar and classic Vintage metallic buttons. A hint of Indie flair as a slim tapered cut is enhanced by Retro side tab adjusters at the hem. Traditional button flap Western pockets, button cuffs and two small hand warmer pockets to sides. 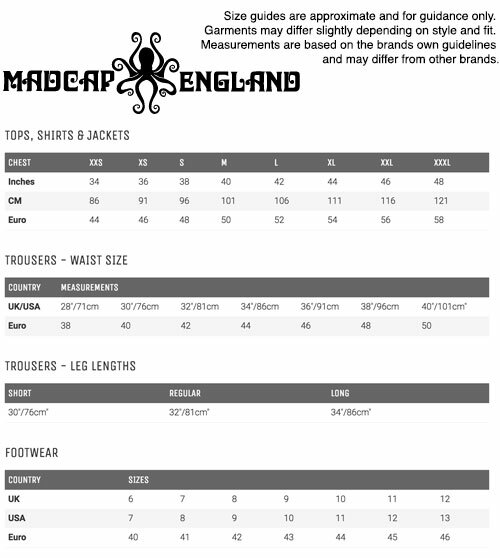 'Marquee' Madcap England short length slim fit Western Jacket by Madcap England. Made in the UK. 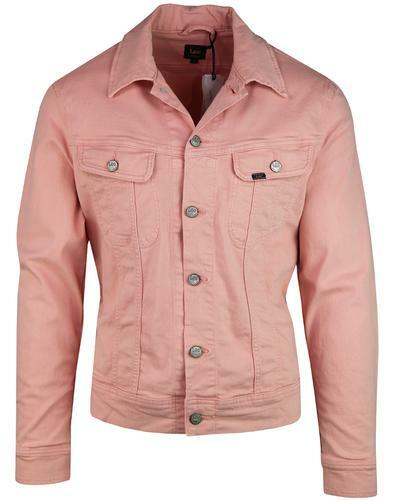 MADCAP ENGLAND 'MARQUEE' MENS RETRO SIXTIES MOD DENIM WESTERN JACKET. 'MARQUEE' MENS RETRO SIXTIES MOD DENIM JACKET by MADCAP ENGLAND - Mens blue stonewash Mod denim slim fit, short length Jacket by Madcap England. Vintage Western style with metallic buttons, flap chest pocket and two small handwarmer pockets at sides. Retro tab adjusters at hem, Mod fold over collar. Button cuffs, neat panel front that runs from the chest pockets to waistband. 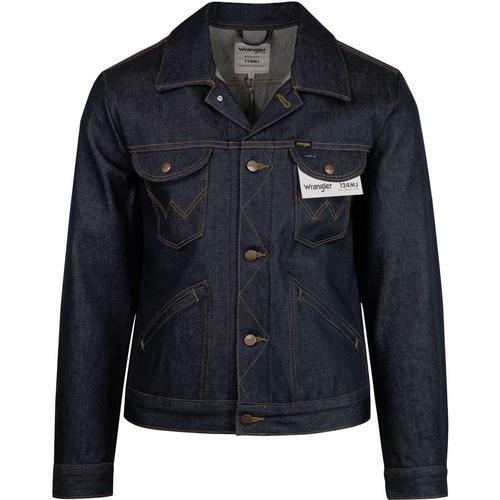 'Marquee' Mens Denim Jacket by Madcap England. Made in the UK. SKU: MC164 'Marquee' Madcap England Denim Jacket. Slim fit, short length jacket.